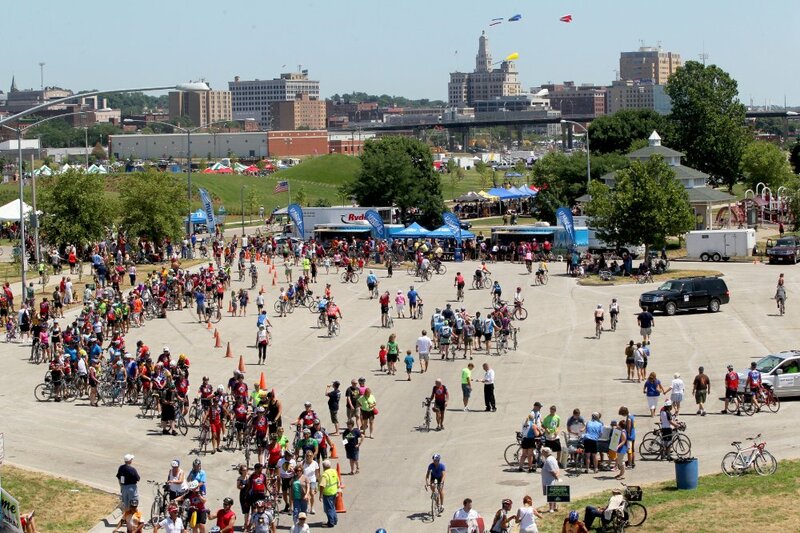 As a Ragbrai newbee I will do my best to describe the event that I have wanted to do since I was a teenager growing up in Iowa. 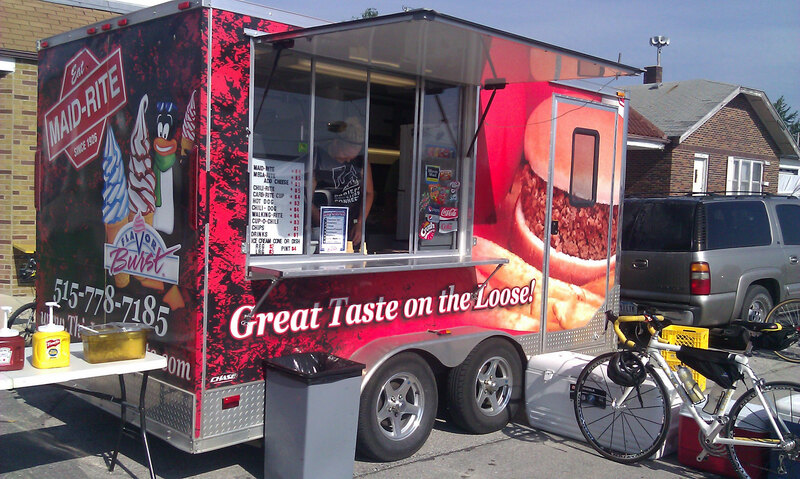 The event is very well organized and every is working well for our team of 20 plus people. One of our team members was taken to the Des Moines hospital this morning because of a crash. 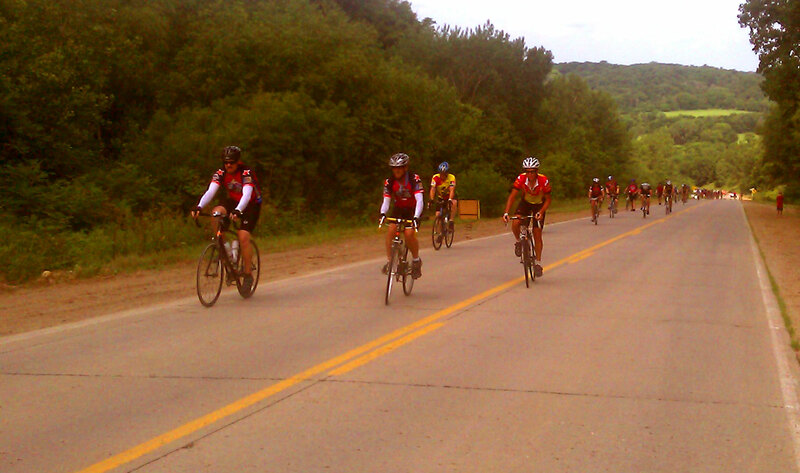 We are riding across Iowa and the humidity is exstream. 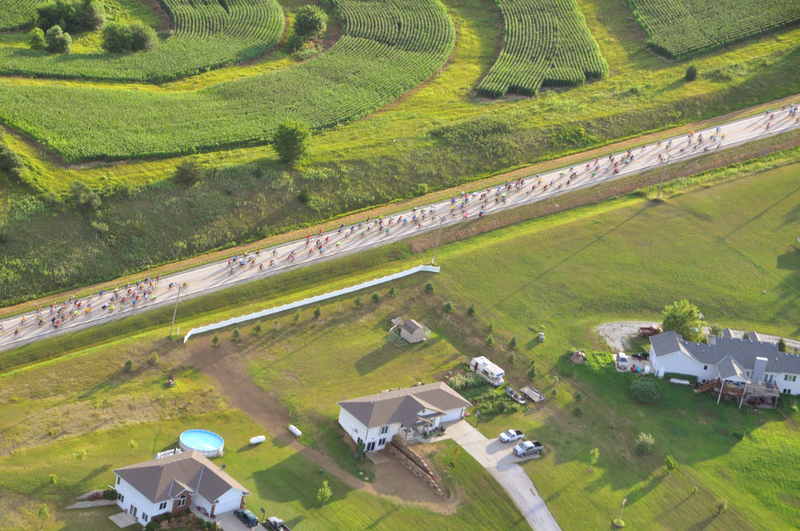 RAGBRAI means (Register Annual Great Ride Across Iowa). 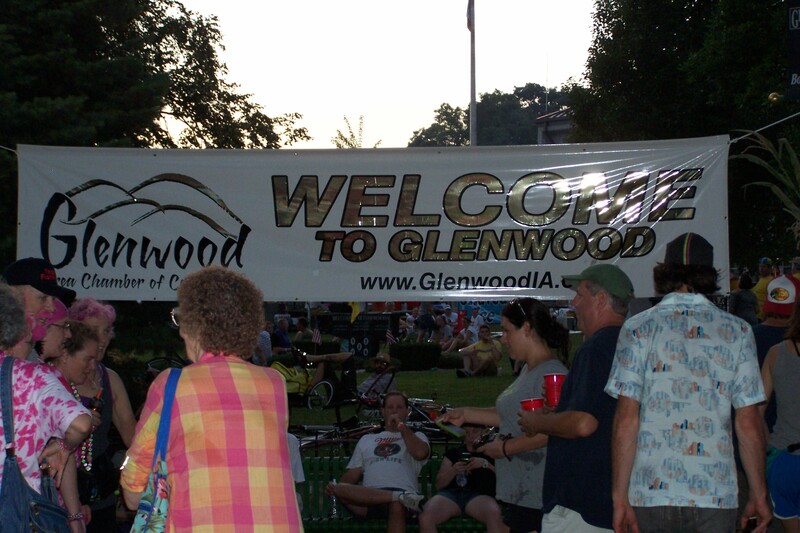 Sunday night I arrived in Omaha Nebraska and caught a bus to Glenwood Iowa and found the church we were staying in. 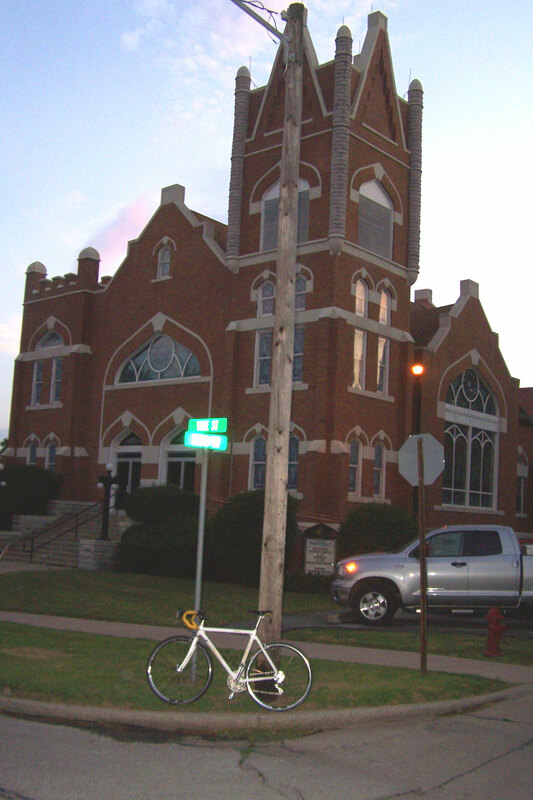 Arriving at the church I began to prepare for the next days ride and notice my derailer would not tighten into the hanger. THAT IS A MAJOR PROBLEM. I took the bike to a bike repair tent and they were able to fix it by re tapping the threads in the hanger. Forest from http://www.bikeworld.com out of DesMoines was my new best friend. 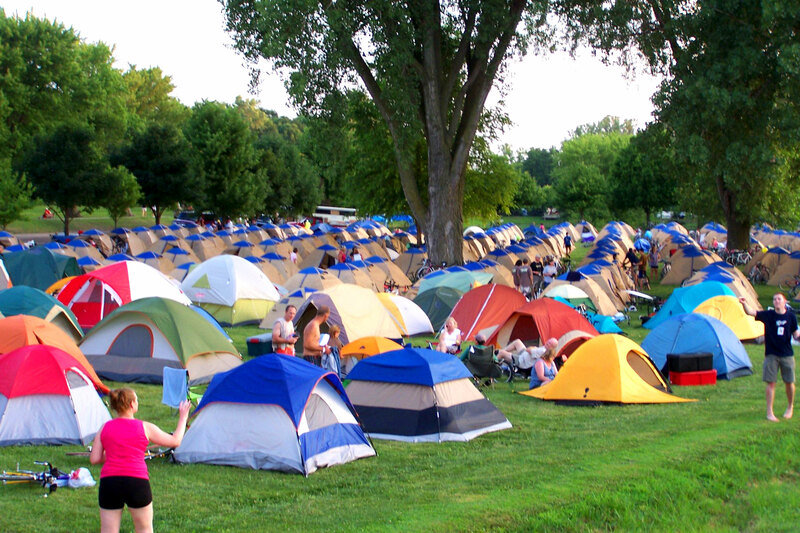 Here are some of the pics of an amazing week in my home state of Iowa. Here is the milage and climb chart – I actually did over 500 miles due to a little site seeing. 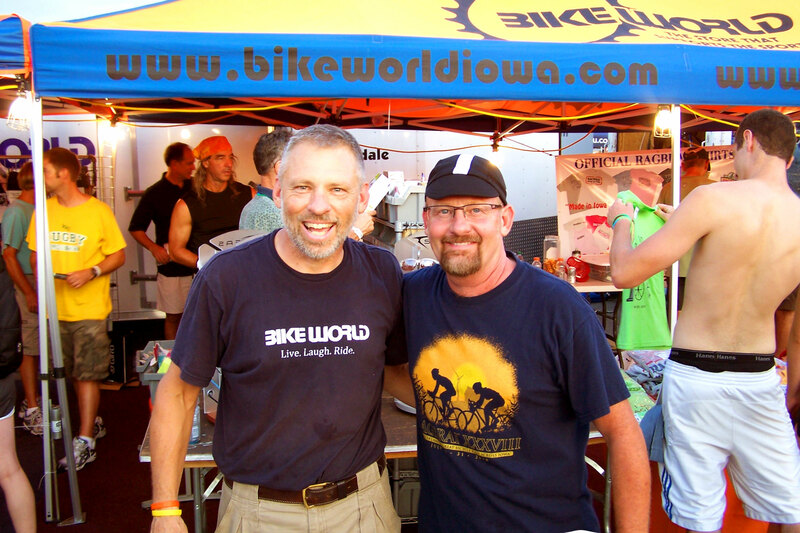 It was cool to have Lance Armstrong fly in from Paris today (Tuesday July 25th) to meet with riders and ride the route from Carroll to Boone. 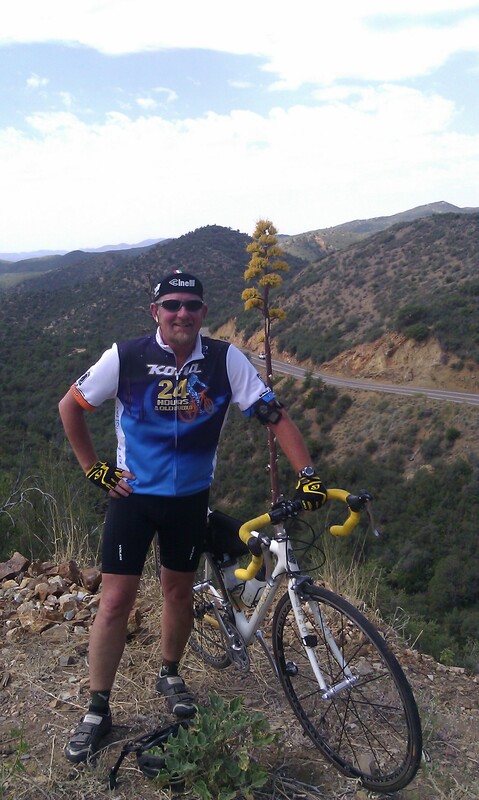 He game to promote LIVESTRONG and to meet with riders along the way. Maid rite was one of the goals. 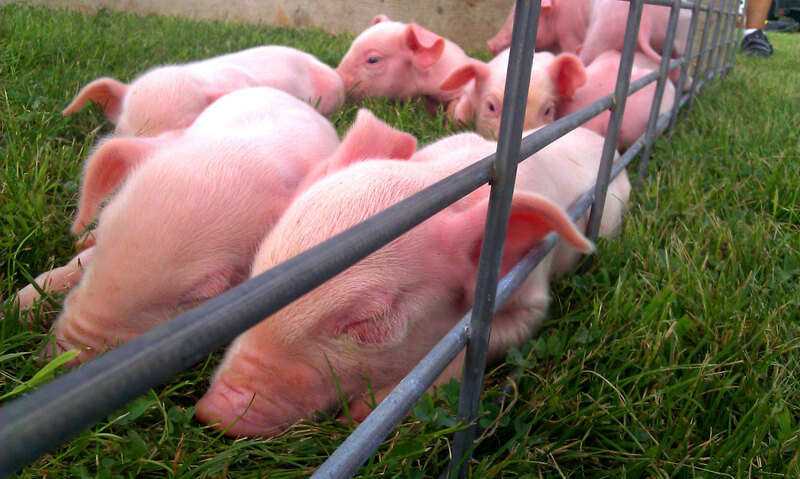 One day old piggys along the route. 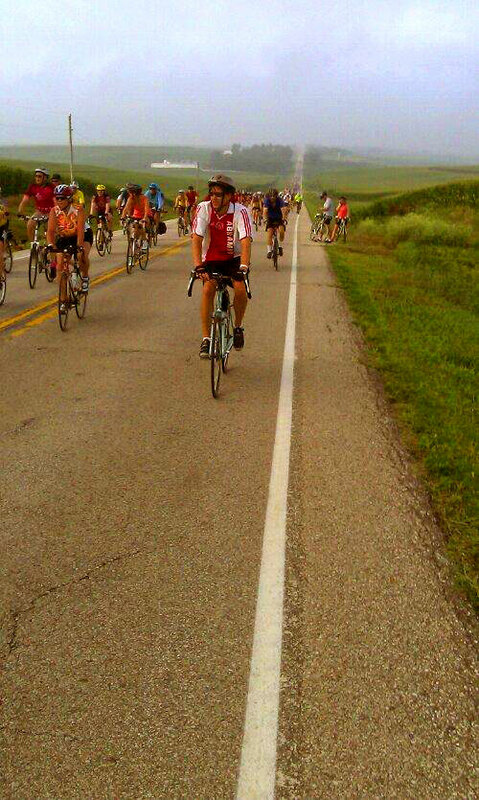 The hill and road were the movie Twister was made. I just wanted to post some information regarding our recent experience with a lightning strike to our son-in-law Adam. Adam was out in his neighborhood ride with his lab Jake last Monday night around 6:00 pm when he was struck by a flash of lightning. 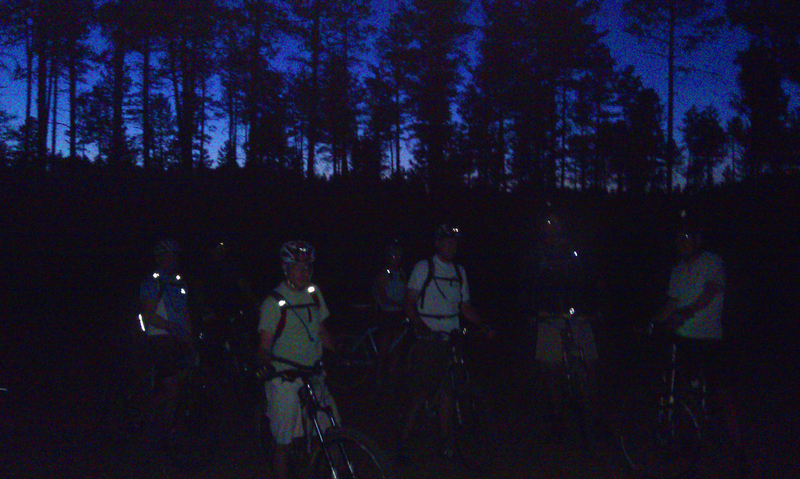 I was in Prescott doing my own hamster wheel ride through the Pines when a storm blew in quickly. I decidied to bust it home and get out of the elements but got totally drenched. When I got home there was a note on the kitchen counter from Brenda that said two words. “Call me.” – Whenever I get a message like that from Brenda I know something is wrong. 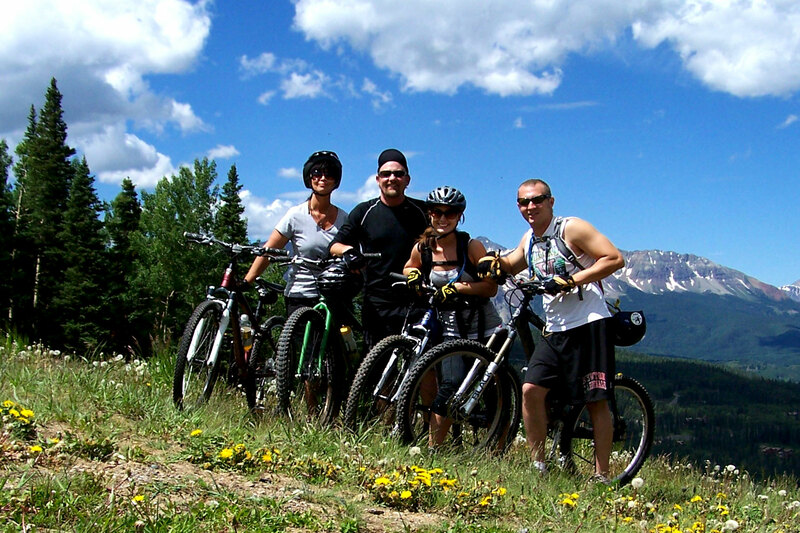 I called her asap and she told me our son-in-law had been struck by lightning while riding his mountain bike. Upon arriving @ YRMC in Prescott Valley I could tell by Adam’s speech and constant body movement that he was traumatized by the event. Lightning strikes are rare but do happen and now we has a family know this personally. I wanted to send this blog out to anyone who wants the information and especially to my bike friends who love the outdoors. Here is an excellent info. article by .I.M.B.A. 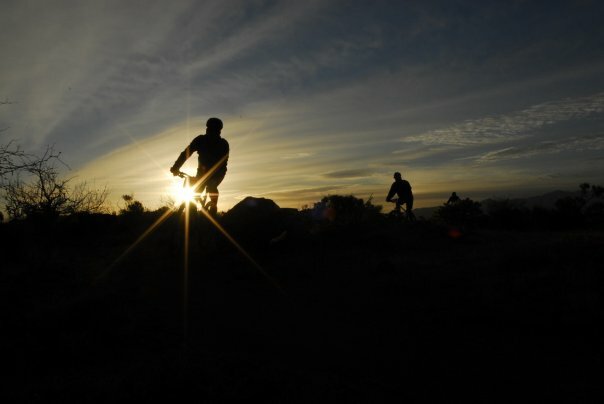 ( International Mountain Biking Association) regarding mountain bikers and lightning strikes. 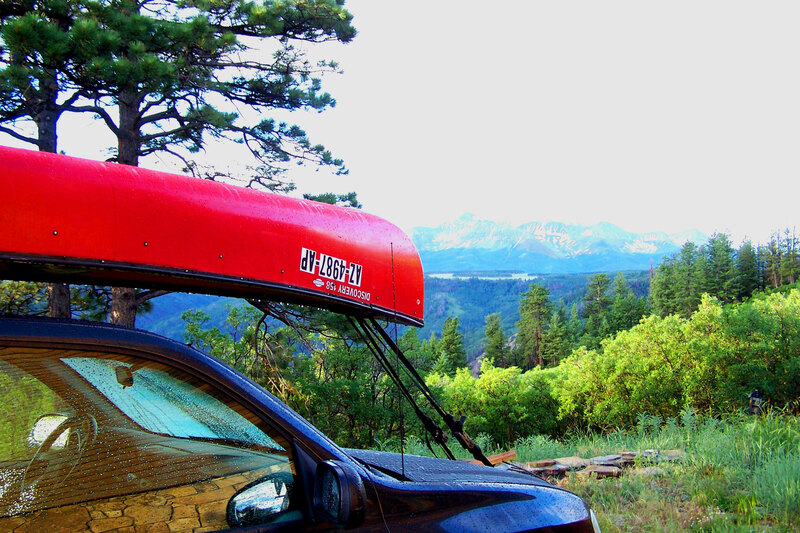 You are on patrolling in the high country when a late afternoon thunder storm rolls in. Thunder and lightning is everywhere and it begins to rain. You hear a loud boom and see a flash of light ahead of you. You take cover in a safe area until the storm passes. 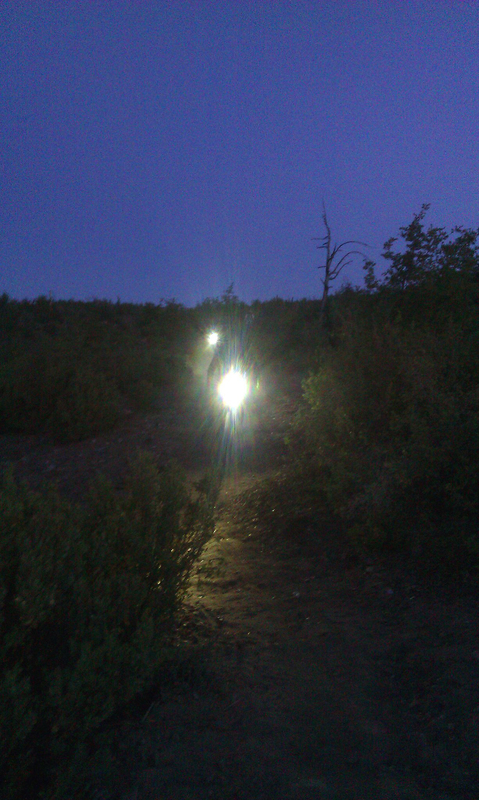 When you continue down the singletrack you see a dazed but conscious cyclist who appears to have been hit by lightning. The trees around him appear to be scorched. What do you do next? Overall, lightning injuries are an unusual form of trauma but are one of the leading causes of death related to the natural environment. In the United States, lightning accounts for 150-300 deaths per year. An additional 1000-1500 will be seriously injured. Those struck by lightning have a 20-30% chance of death. The most common cause of death is related to heart and respiratory issues (usually the heart and breathing stops). Direct strike: The lightning bolt comes into direct contact with the person and may pass directly through that person. 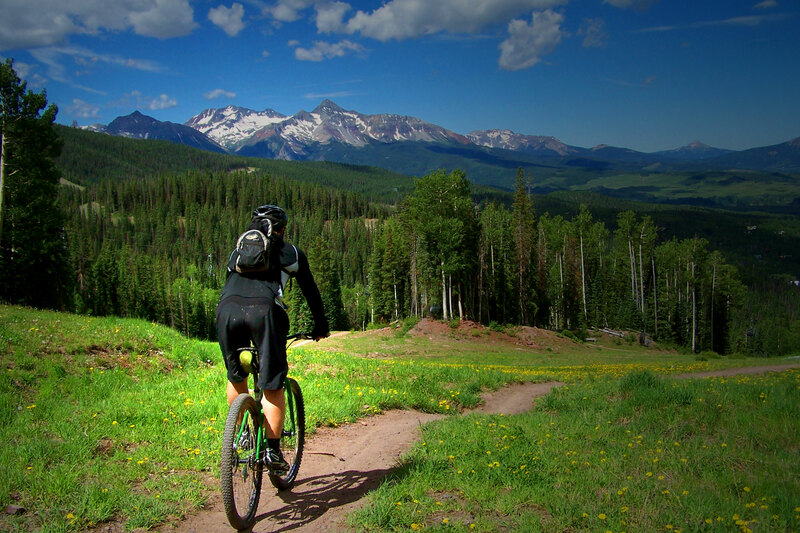 For example, this may occur when the cyclist is struck in an open flat area or when alone on the top of a hill or exposed ridge. This usually causes the worst injury and death can result when the heart or breathing stops. However, it is possible to survive a direct strike. Side flash (splash): Lightning may hit a nearby object but the energy and current splashes over to the cyclist who may be in close proximity to the direct impact. 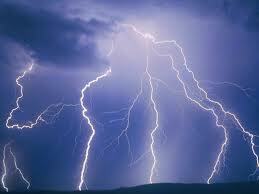 Ground current: The lightning current travels through the ground and travels up the leg of a nearby individual. Burns: These are generally 1st or 2nd degree burns. Burns are usually superficial and are rarely cause severe damage. Blunt trauma: The cyclist may be thrown by the shock wave landing several feet from the original site of lightning impact. Spine trauma: Always suspect spinal injury in a lightning victim. Cardiovascular (heart): The heart can actually stop or the rhythm can slow down. Prevention! 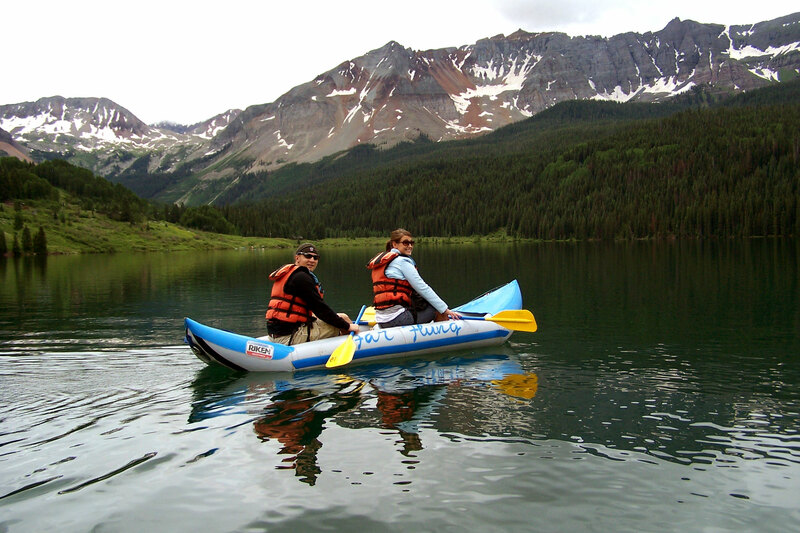 Make sure your patrollers are trained to recognize safer places to be during lightning storms. 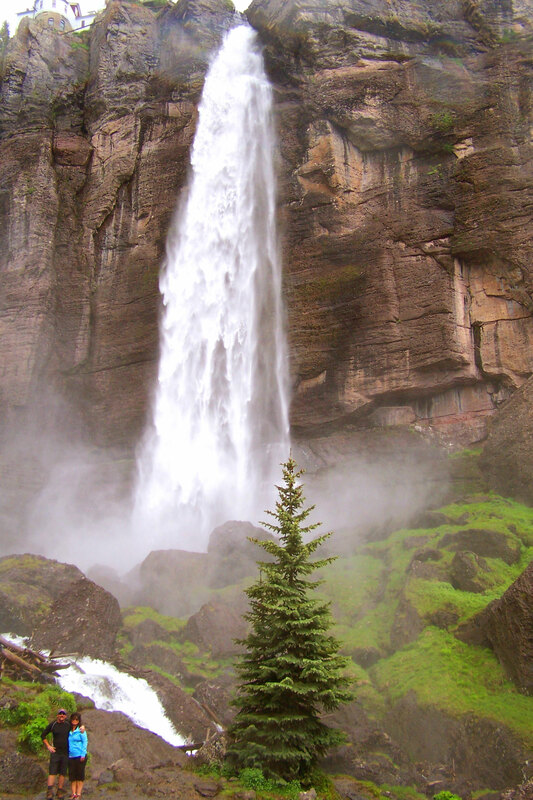 Avoid exposed ridges, summits, and areas directly underneath potential rockfall. Also avoid low-lying areas or standing bodies of water. 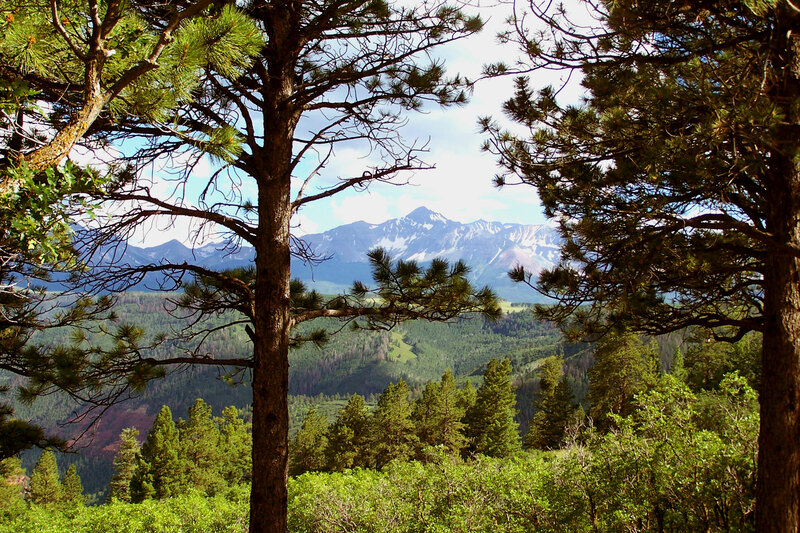 Educate other trail users about lightning safety. The best way to avoid lightning injury is to be prepared and avoid riding during times when lightning storms are common. 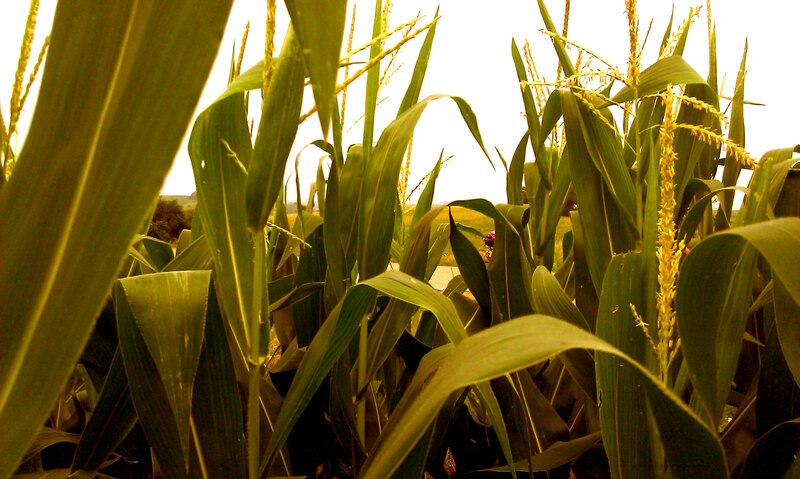 But if you do happen upon a lightning victim in the field, always ensure your own safety before providing aid. Once you are certain the scene is safe, do not delay. Immediate evacuation to the hospital is essential. Evaluate the patient for breathing by looking for chest expansion or the movement of air from the mouth and nose. Evaluate the heart by checking pulses. If there is no breathing and no pulse start CPR and rescue breathing if trained. This is a horrible situation and unless help is readily available the outcome could be poor. 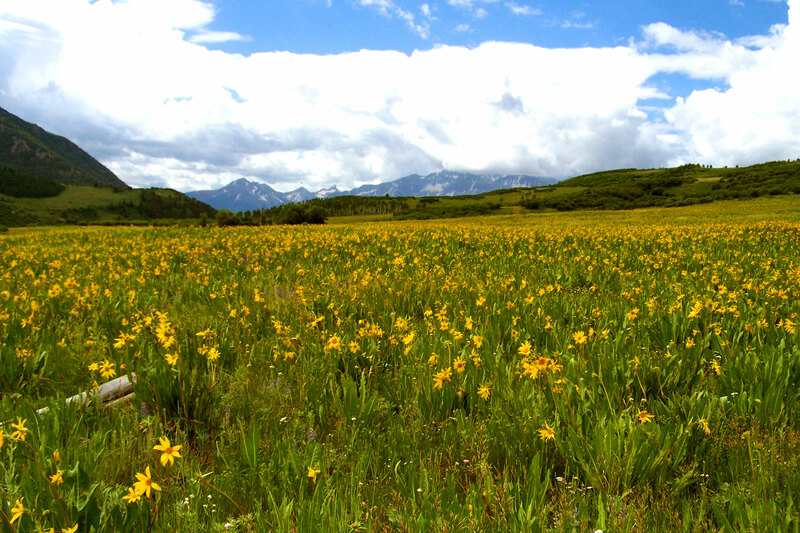 In the remote backcountry or when help is far away, studies have not shown recovery after prolonged CPR and rescue breathing. 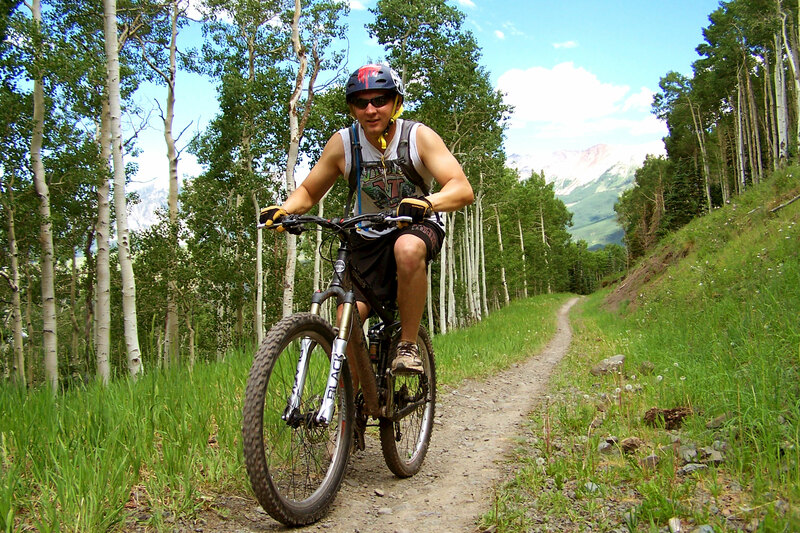 If the cyclist does not have a pulse after 20-30 minutes, the chances of recovery may be slim. Many vicims of splash or ground strikes, however, may retain consciousnes. These individuals will be breathing on their own and have a pulse. They may be disoriented, irritable, or confused. After confirming an adequate airway, breathing, and circulation, assess for shock and hypothermia. Do not move the patient, even if he/she feels ok to walk. Hypothermia is common threat since the cyclist may have been caught in the associated rainstorm. If the cyclist was thrown from the lighting strike, assess for blunt trauma and maintain spinal precautions. Keep the patient still, warm, and arrange for immediate evacuation. Remember, lightning strikes are horrible injuries but death from the injury is not inevitable. Immediate advanced care is essential. As the first contact in the field, you can dramatically increase a victim’s chances for survival with proper care and attention. 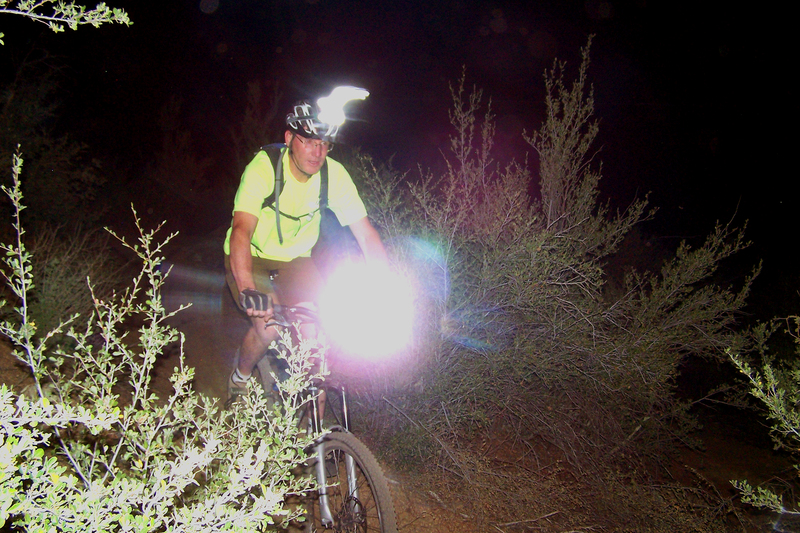 Because of the recent awareness to the dangers of lighting I will certainly be more cautious when those Arizona monsoons roll in over my favorite trail. I would like to thank some people who helped us during and through this event that could have ended a lot more tragic than it actually did. The quick responsive ER staff @ YRMC Prescott Valley …you guys and gals are pros. Pastor Wade Mansfield of the Ridge Christian fellowship for being the first on the scene to help. Our friend Todd for watching Adam and Natascha’s three labs during the hospital stay. 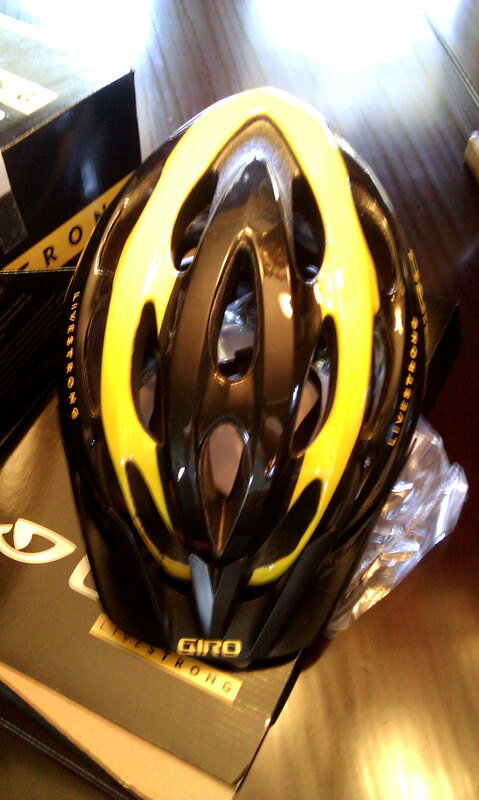 High Gear Bike Shop for the gift of a LIVESTRONG mountain bike helmet and their amazing wit they wrote on the box…. also for the repairs to Adams bike. All of our amazing friends across the country, facebook and twitter who responded so quickly in prayer, phone calls and words of comfort. 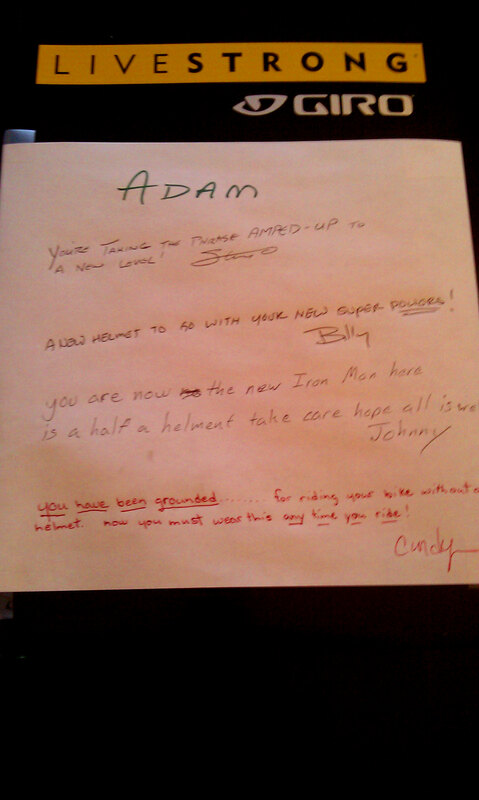 Thank you guardian angels for protection over our son-in law Adam….He has so much more to accomplish in this life. 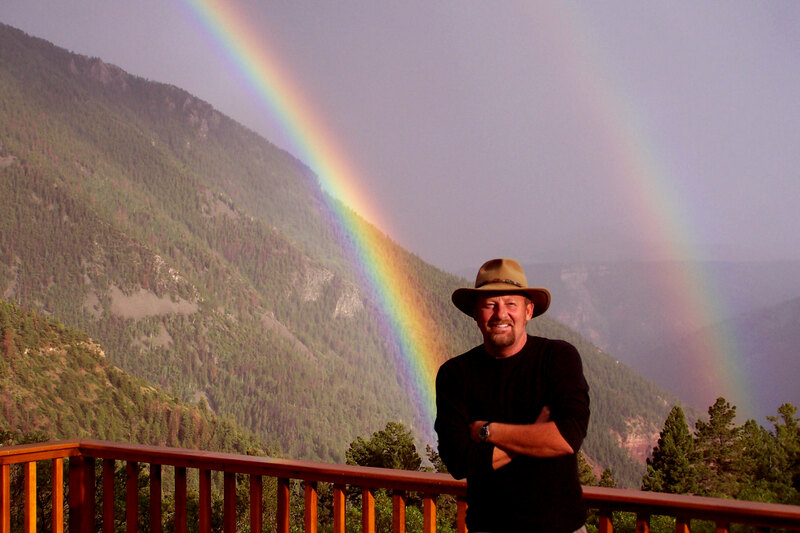 Adam is recovering at his home in PV and will live to talk about it. 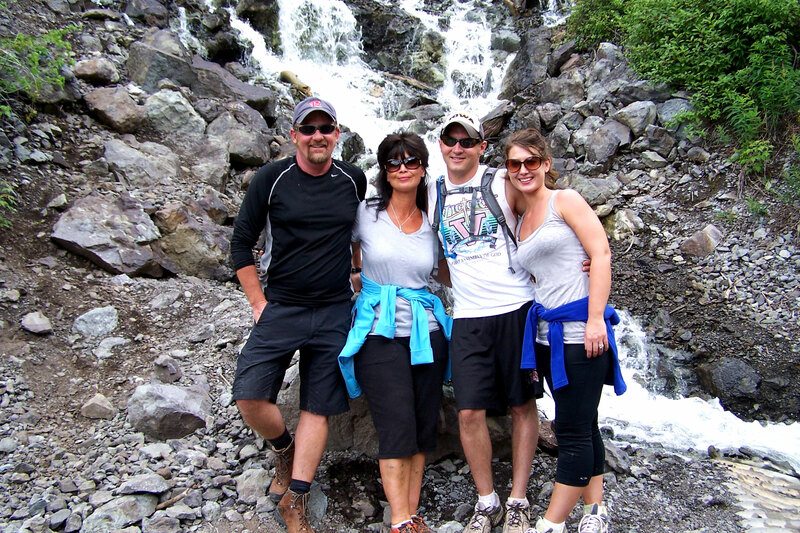 I just wanted to post a few pics of our 2011 family vacation in Telluride Colorado. 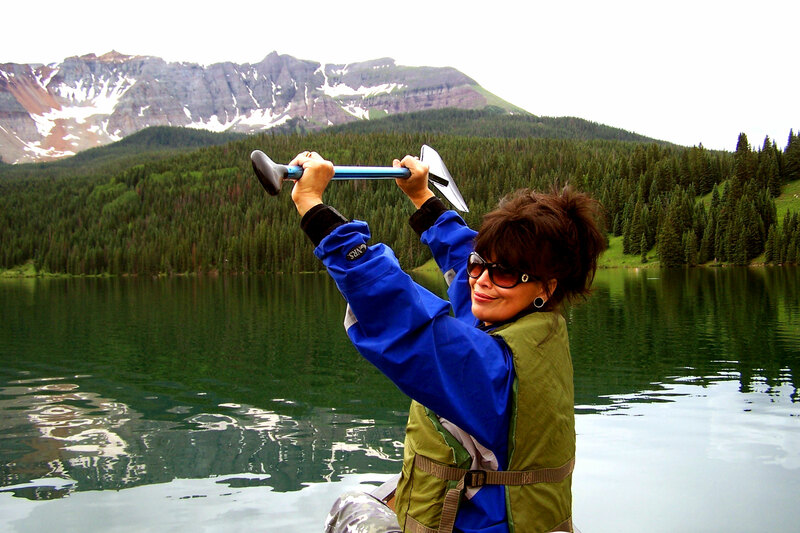 Special thanks to an amazing friend who offered our family his amazing cabin for the week. 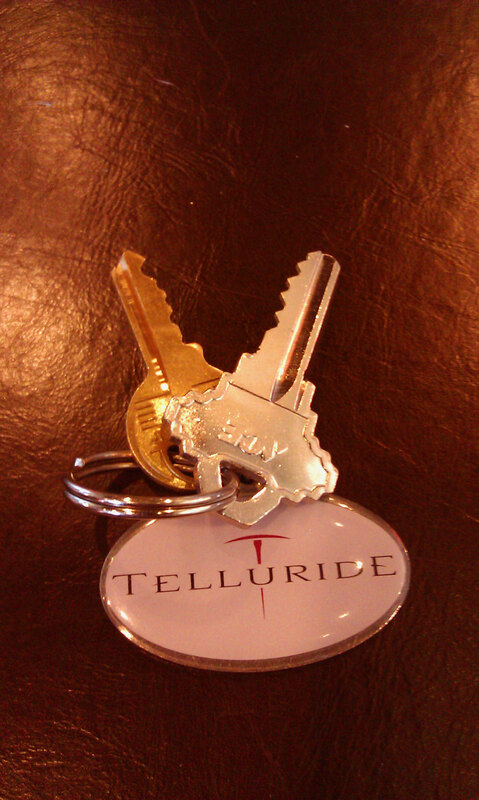 What Makes Telluride Unique? 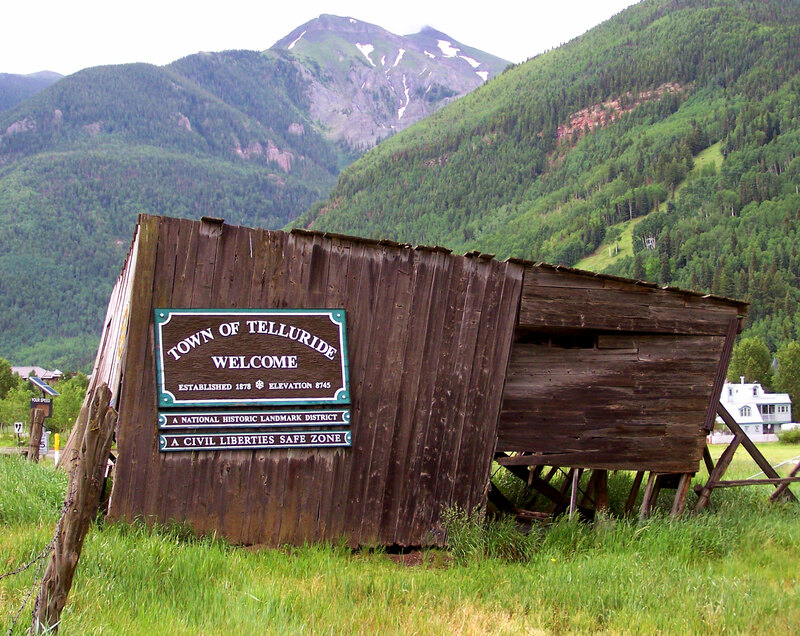 Telluride is a small ski resort in the southwest corner of Colorado. 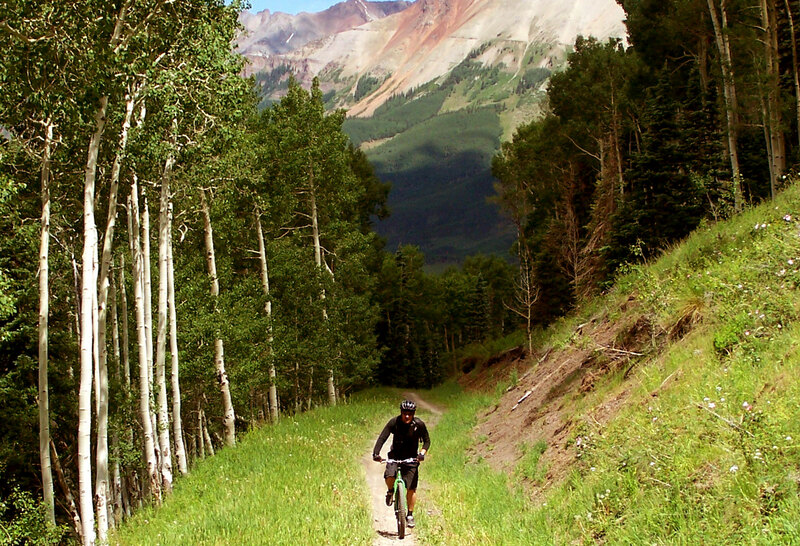 Tucked away in a box canyon, surrounded by the mighty peaks of the San Juans, Telluride started off as a mining town in the 1800’s and later on, in 1973, became a ski resort and in the warmer months an epic mountain bike destination. 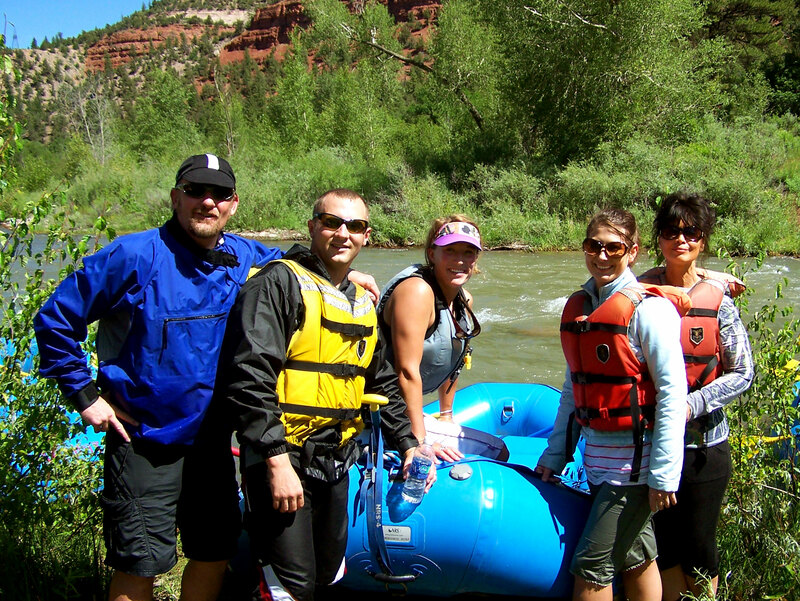 This year was special because we were able to take my daughter and her husband Adam with us for some much needed R & R.
Our bunch hiked, biked, rafted, canoed, fished, shopped, reflected, and rested. 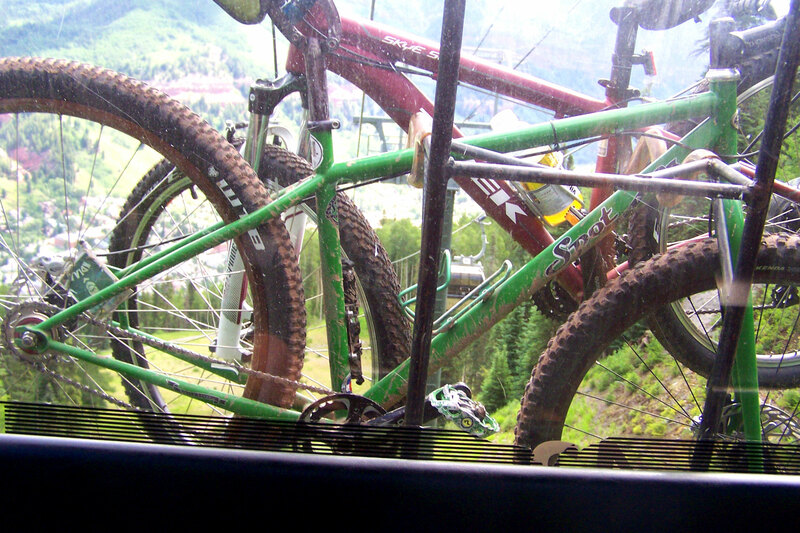 This is a pic of us after we put our bikes on the gondola and made it up to the ski area that is converted into a mtn bike mecca during the summer months. 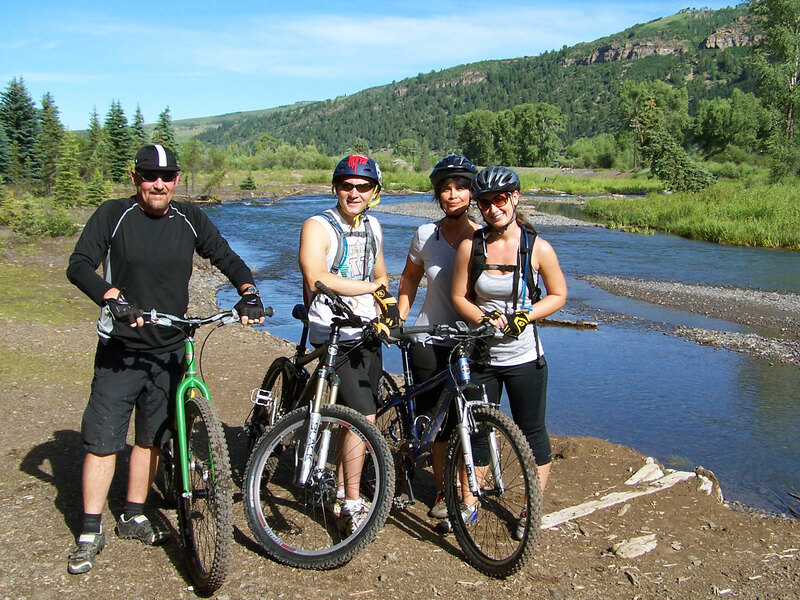 The Riverside trail is an amazing addition to the Telluride trail system. 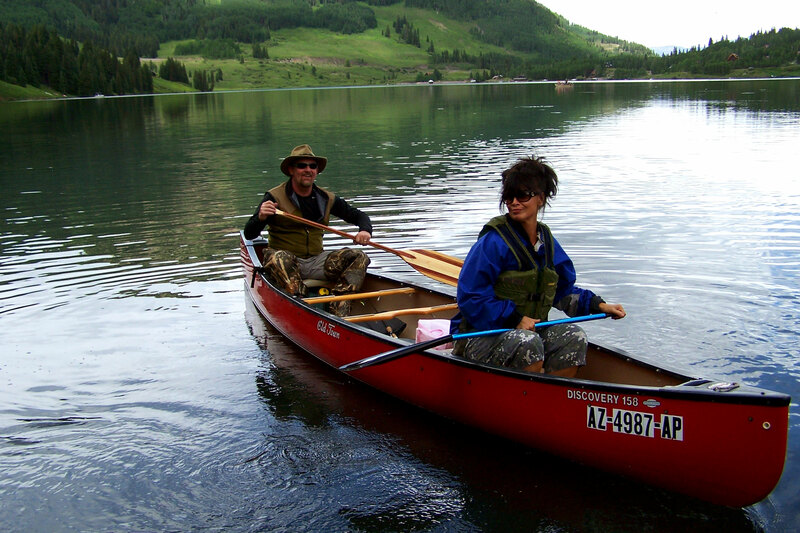 We ventured out on Trout Lake for some fishing/exploring….Adam and Tash pretty much wished they would have had a canoe instead of a ducky to float in. 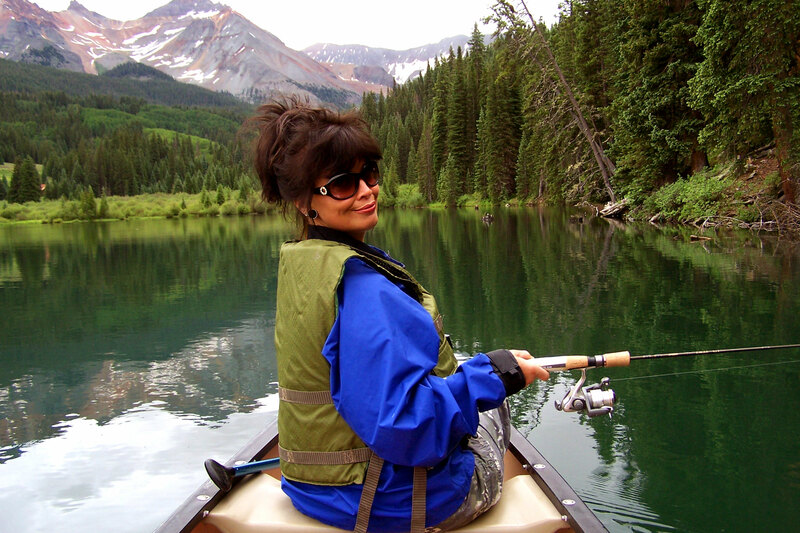 Brenda my life long floating/fishing partner. 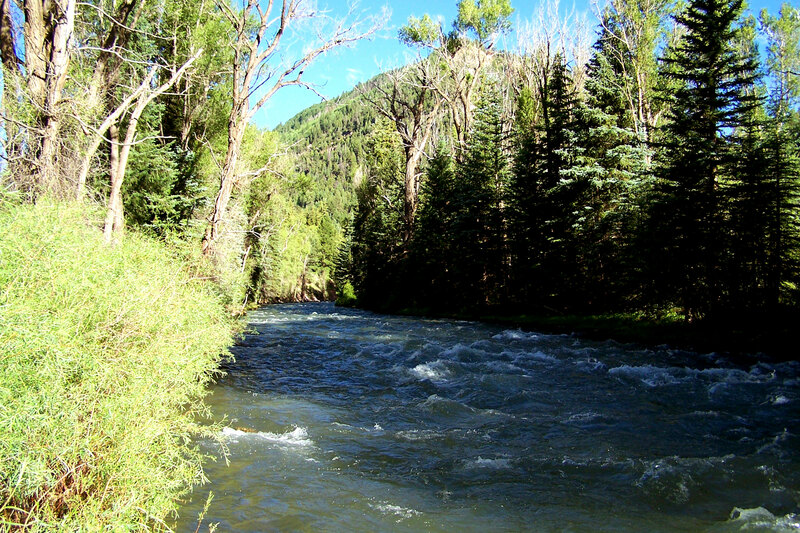 The San Miguel River rafting. 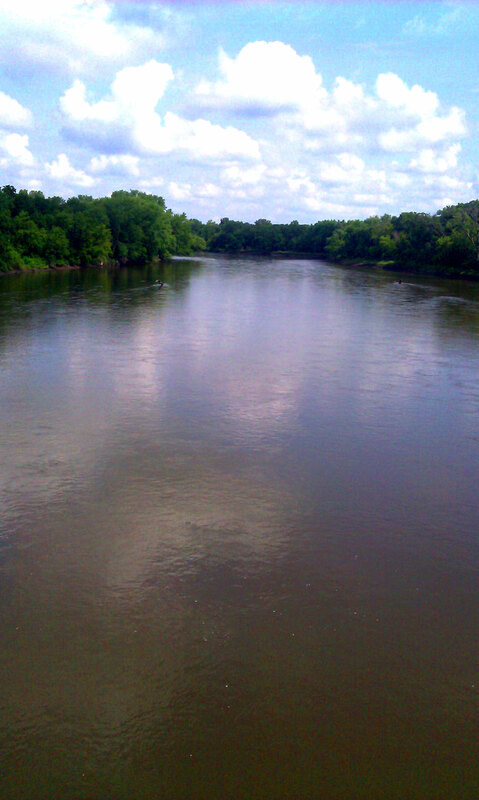 Just some views from around the area. 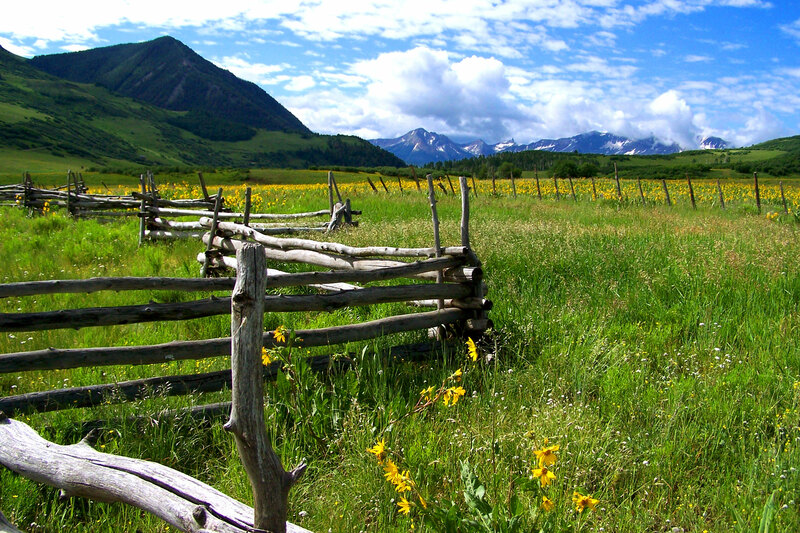 A couple of pics of the meadow below the cabin were we stayed. 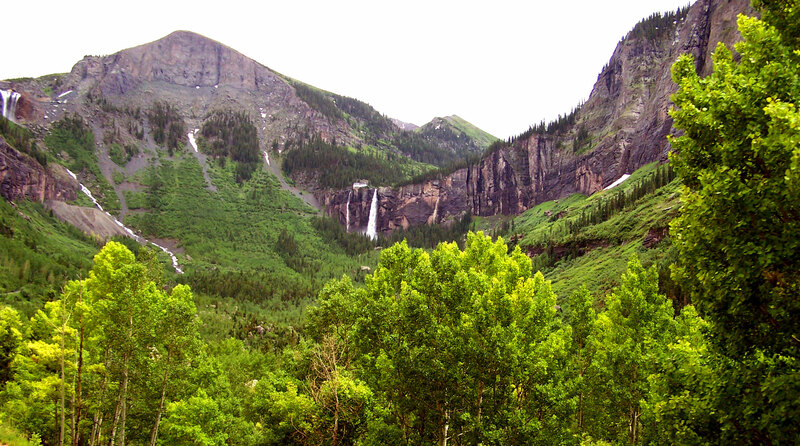 Bridal Vail Falls – the tallest waterfall in Colorado. 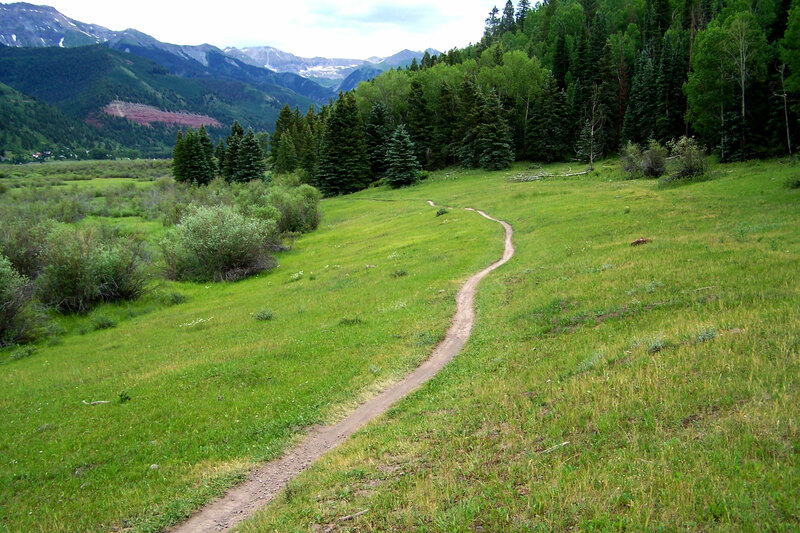 The grass is greener in Telluride. What an amazing place – what an amazing week. I am rested and grateful. This Sunday we are looking into how God’s angels participate in getting us through our journey. Angels have a tremendous active part in delivering us from situations that could be fatal to our mission and journey. 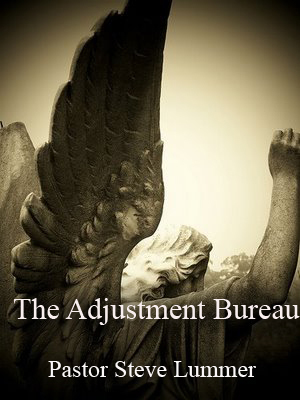 Really looking forward to this message called The Adjustment Bureau. 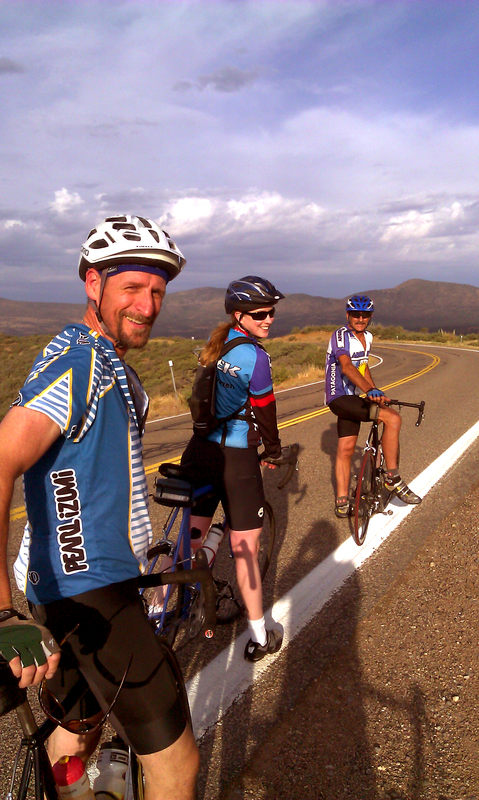 This morning to celebrate Independence Day a few friends and I left Preskitt on our road bike and did the Skull Valley Loop. 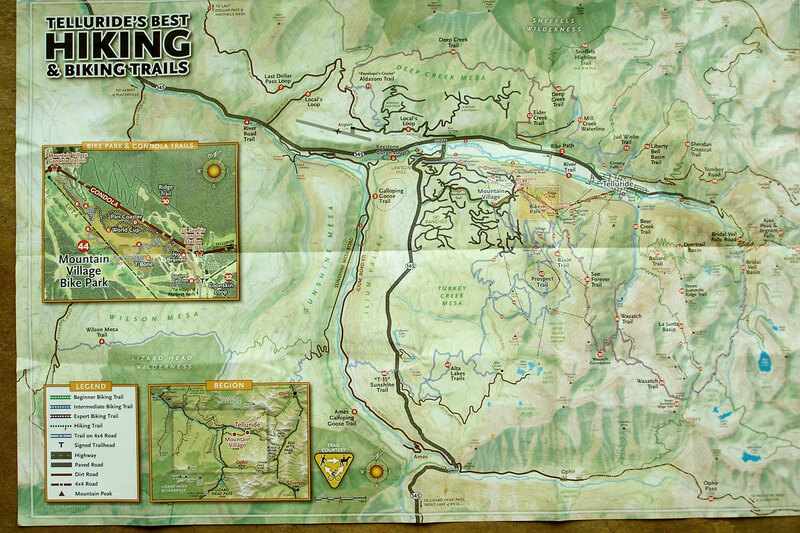 This map show a clockwise route but we did it the smart way and did it counter clockwise. 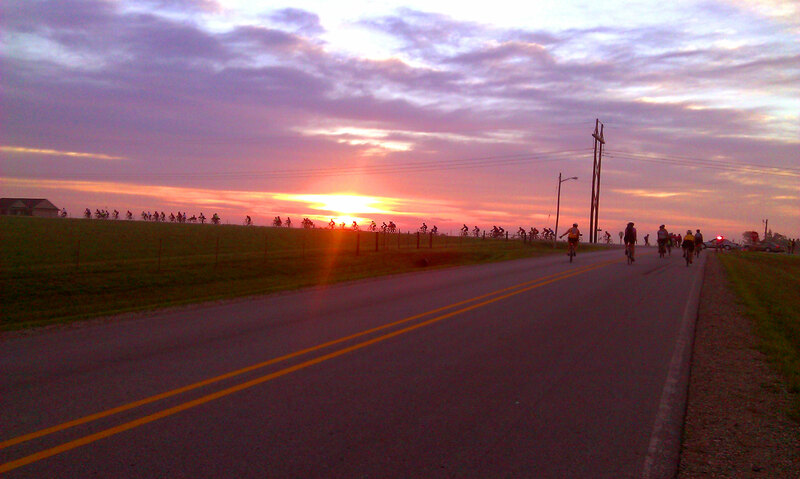 The loop is an amazing scenic, fun, challenging 53 miles of what every roadie likes. 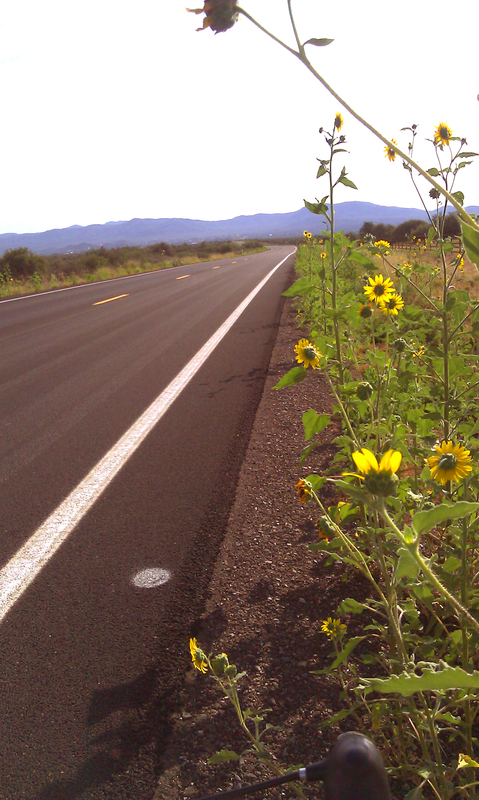 Here are just a few pics of some of Arizona’s finest miles. 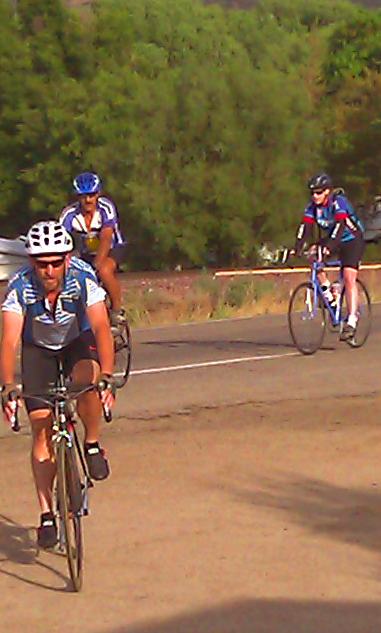 Robert Janice and Becker coming into Skull Valley this morning @ 7:00 am. Just after reaching the Iron Spring summit. Taking a little break climbing the “Spars”. 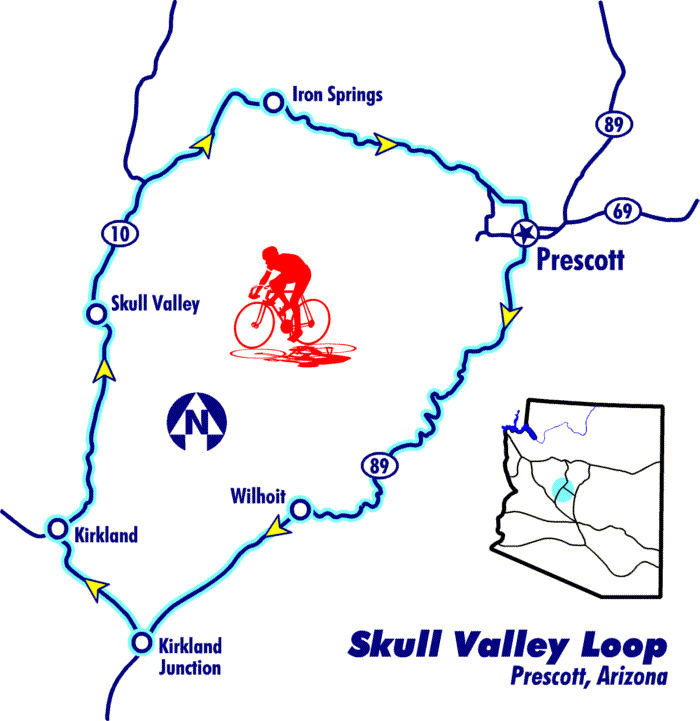 The Skull Valley Loop is a truly a gift. 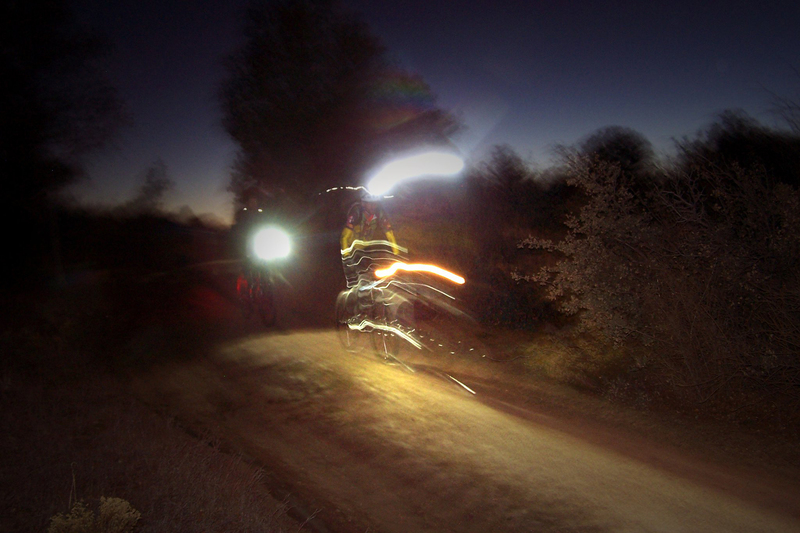 Over the past year I have done about 10% of my bike riding at night. 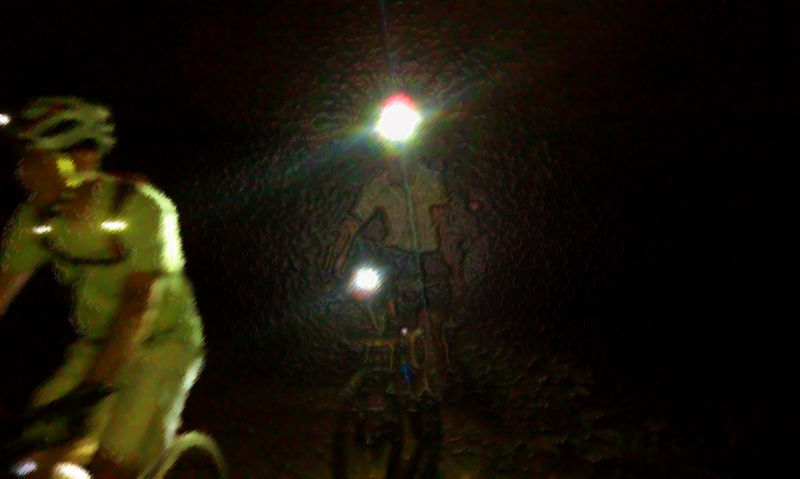 Some of the reasons for the night rides come down to: weather, work, time, friends, adventure and the fact that my wifee got me a set of amazing bike lights for Christmas last year. 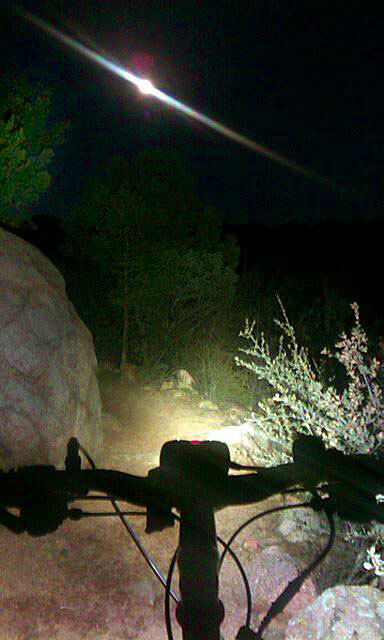 The Pro 1400 represents the pinnacle of bike lighting technology. 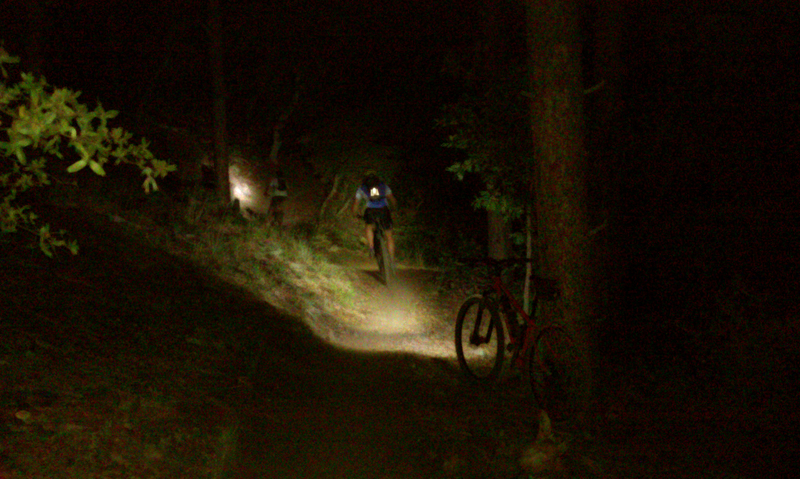 Pumping out 1400 lumens. 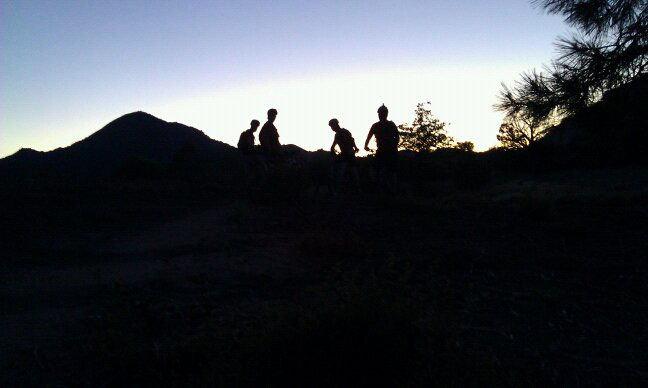 The beginning of our night rides started with a bunch of friends doing The 24 hours in the Old Pueblo last February. 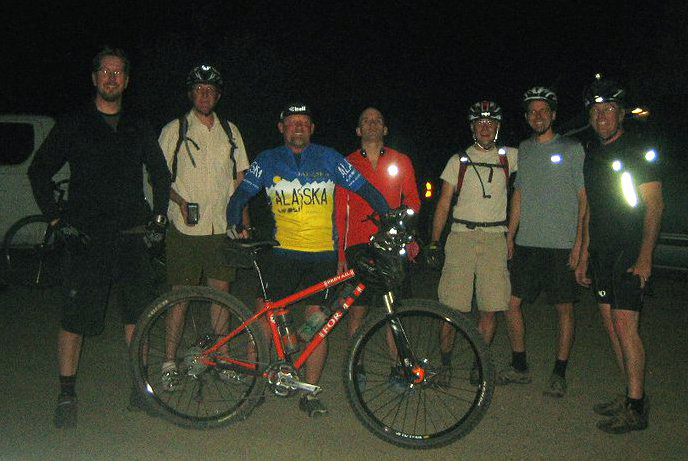 Here are a few pics of some of our night rides this past year. 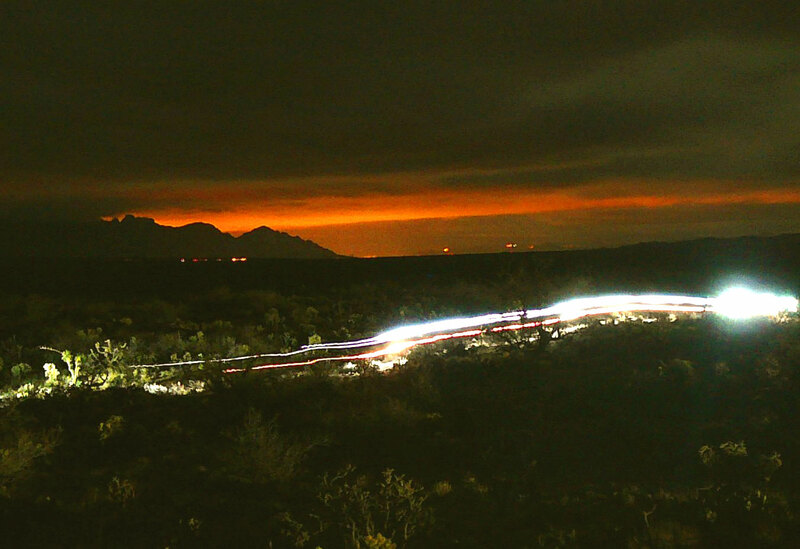 Another Epic Rides pic of the 24 hours in the Old Pueblo. 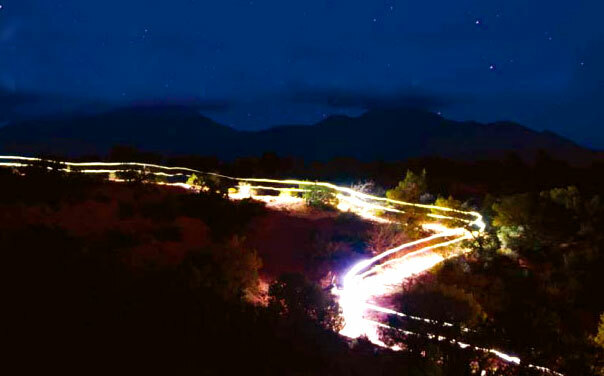 A Dave Sewell Pic of the 24 hours in the OP. A 24 in the OP pic from Epic Rides. Middlemore out in Pioneer Park. The 332 by Nite Rider and some Lunar help. 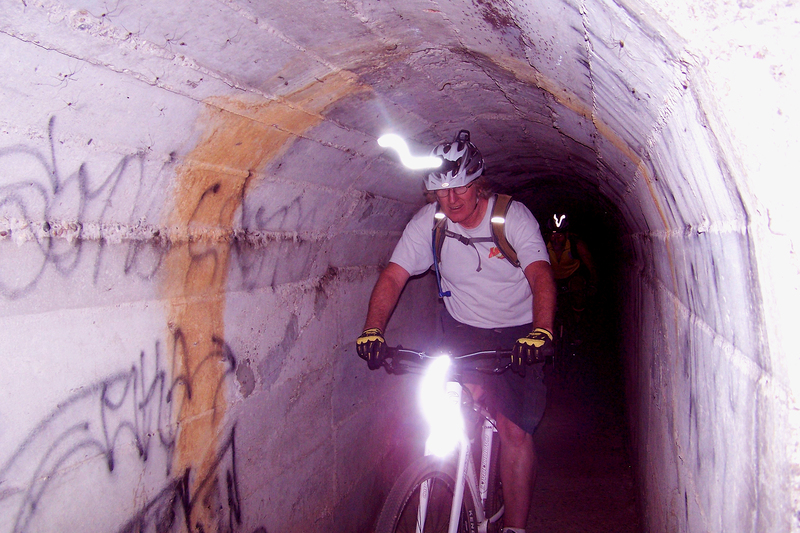 Our friend Billy B goin through the tunnel trail. Dave S ridin up the 332 from GB. What a bunch of fun times with some fun friends. 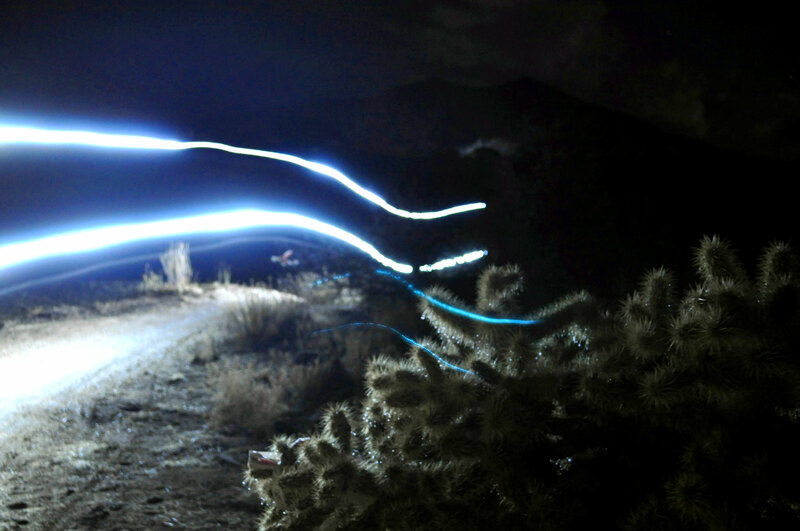 Get yourself some lights and friends and take your bike out in the dark for a totally different kind of mountain bike riding.